I couldn't sleep recently and I thought to myself 'maybe if I read a few pages of a book, my eyes will feel tired more naturally' ... not so when I picked up Dead Jealous by Sharon Jones to read. Right from the first page - as we are introduced to our main character, Poppy Sinclair, at a pagan festival in which another girl turns up dead - I was absolutely hooked! I couldn't put the book down for anything until I was finished and had uncovered all of this book's secrets. I love YA thrillers. I want to see more of them, especially if they are written anything at all like Dead Jealous. As I was reading more and as Poppy collects more little clues and details of Beth's death, I found myself overly suspicious of absolutely everyone. I was convinced that the murderer would be this person for awhile and then another and that it for sure had to be this other person. And of course, I was completely wrong and the ending was a total surprise. I loved that about this book! And beyond loving Poppy as much as I did for her determination and doggedness when it came to solving this mystery, I also really loved all of the other characters that we are introduced to. Especially Kane and Tariq and Bob and for how much better we are able to understand who they are as people and of their motivations. But the stars of the show had to be Poppy and Michael and their relationship together. Poppy and Michael made my heart ACHE all the way through. As the narrative is split between the pair of them we are able to see how much Poppy's feelings for Michael have grown and how keeping this secret from Michael is changing who she is as a person. And at the same time, we can see the strength of friendship from Michael's point of view and his willingness to drop everything to make sure Poppy is safe and well spoke absolute volumes. I cannot wait to read more of what becomes of their friendship. One of the main draws for this book is the pagan festival which is the main setting throughout the book. 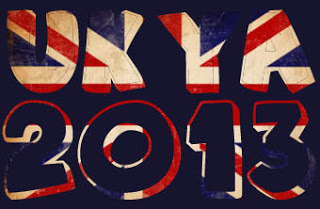 There's just something very refreshing about reading of this festival and of the festival-goers that attend and of the things they believe in and practice that is just a bit different from what I'm familiar with and it's different than what I'd normally come across in a YA novel. I wish more differences were celebrated in the same way! Give me different perspectives please! All the details of a hand-fasting ceremony and tarot readings and Native American sweat lodges were really fascinating and made this novel stand out for me just that little bit more. I was also really glad to read of a book that dealt with faith in the way that Dead Jealous did. It's not a huge part of the story, but there was enough of it there for me to really appreciate the position that Poppy is in. She seems to be dealing with her father leaving, her near-drowning accident the year before and with her unrequited feelings for her best friend, Michael. And all of these things together mean that she's lost faith in these things she's been brought up around. She's also a little bit bitter and angry in regards to all of the emotional baggage that she's carrying around. 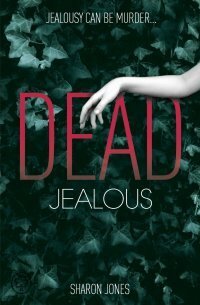 What a fantastic book Dead Jealous is! Amazing characters, wonderfully different setting, a thrilling murder mystery and some relationships that really made me feel connected to the story! Highly recommended. This book sounds so mysterious! I'm really excited to read it now. Nice blog as well.